Java virtual Machine(JVM) is a virtual Machine that provides runtime environment to execute java byte code. The JVM doesn't understand Java typo, that's why you compile your *.java files to obtain *.class files that contain the bytecodes understandable by the JVM. Stack : Local variables and partial results are store here. Each thread has a private JVM stack created when the thread is created. Program register : Program register holds the address of JVM instruction currently being executed. 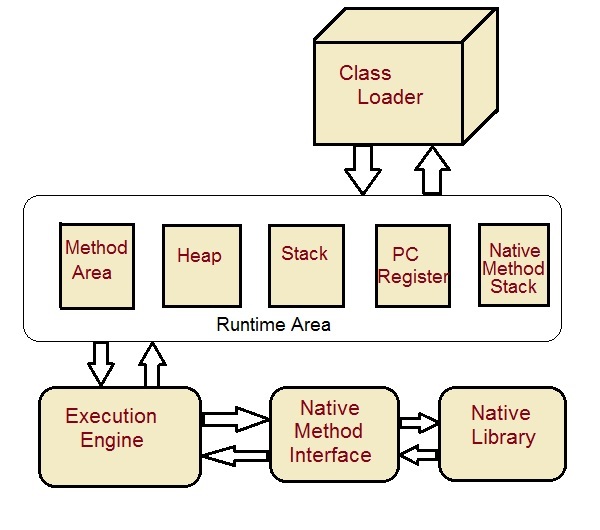 Native Method Interface : Native method interface gives an interface between java code and native code during execution. Native Method Libraries : Native Libraries consist of files required for the execution of native code. 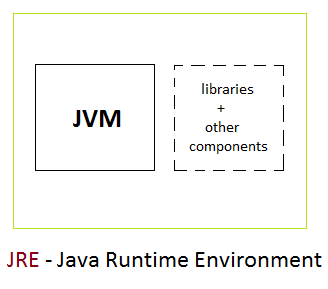 JRE : The Java Runtime Environment (JRE) provides the libraries, the Java Virtual Machine, and other components to run applets and applications written in the Java programming language. JRE does not contain tools and utilities such as compilers or debuggers for developing applets and applications. 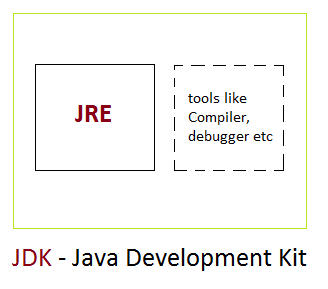 JDK : The JDK also called Java Development Kit is a superset of the JRE, and contains everything that is in the JRE, plus tools such as the compilers and debuggers necessary for developing applets and applications.